Be creative with your party theme! For your next birthday party, bug themes are a fun and creative way to celebrate the big day! 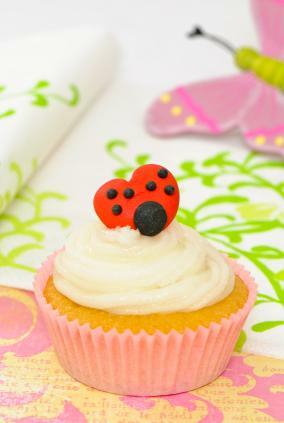 For girls, cutesie bugs such as ladybugs or butterflies are perfect birthday party bug themes. Boys, on the other hand, may like a creepier theme such as spiders. Choose whatever fits the birthday girl's or boy's interests. Announce your bug-themed party with cute buggy invitations. These can be purchased at any party supply store. For those of you that are creative, try your hand at designing your own invitations. For example, take white card stock and fold in half to resemble a card. Decorate the front with bug stickers and glitter. Add the party details on the inside of the card. You can also print bug clip art off the Internet and use it as an invitation. Enlarge a picture of a bug and write the details on the front. Colorful latex balloons - These can be tied together to look like a caterpillars. This cake is simple to make and goes great with your theme. All you need is two boxes of your favorite cake mix. Mix according to the directions then pour into five oven-safe bowls and bake. Each bowl will be a section of the caterpillar. Once each cake is cooled, it is time to decorate. Frost each cake in a different color. For the caterpillar's antennae use pipe cleaner or licorice strands. The eyes can be made with icing. Bake a batch of your favorite cupcakes. Allow to cool and get ready to decorate. Frost the cupcakes in red or pink icing then add black dots to each. Use licorice for antennae and black icing for the eyes. For a special touch, add glitter sprinkles to each ladybug cupcake. Bug Squash: Blow up a variety of balloons and before tying each end, insert a gummy worm in the bottom of each. Let the kids stomp on the balloons to see who can collect the most worms to become the winner. Pin the Spider on the Web: This game is a twist on Pin the Tail on the Donkey. Hang a fake web. Blindfold the kids to see who can pin the most spiders on the web. Bug Hunt: Go on a bug hunt! Purchase plastic bugs and spiders and scatter them either around the room or outdoors. Give each guest a bag or net and see who can collect the most bugs. Send each guest home with a goodie bag. Fill the bags with fake bugs, gummy worm candy and various bug-themed favors.